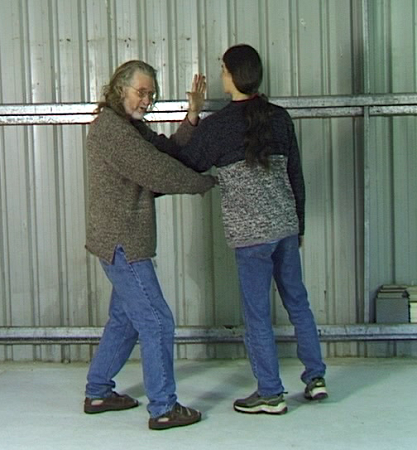 On this tape, Erle Montaigue teaches the beautifully simple but deadly method of P'eng/Hinge. This method is inherent everywhere in Taijiquan and Baguazhang and if there would be an unbeatable fighting method, this should be it. If you can touch him, you can strike him, so why block! Why not block AND attack at the same time. If you can strike someone, you will also deflect his on-coming attack. Single Hand P'eng Methods, Two Hand P'eng Methods, Single Handed Hinge Methods, double handed Hinge Methods are shown plus some excellent training methods using two people to gain this method.